iPod creator Tony Fadell is leaving Apple to work with eco-friendly tech companies. 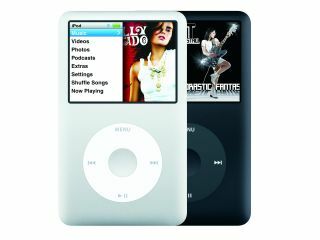 Fadell is not the name most people immediately associate with iPod or Apple, with many linking the world-changing music player to designer Jonathan Ives and/or Apple CEO Steve Jobs. Fadell has been at Apple for nine years. He stepped down as senior vice president of the iPod division back in 2008, but has stayed at Apple as a special adviser to Mr. Jobs since then. "My primary focus will be helping the environment by working with consumer green-tech companies," said Fadell on his exit from Apple. "I'm determined to tell my kids and grandkids amazing stories beyond my iPod and iPhone ones." Fadell came up with the idea for a hard-drive-based digital music player in the 1990s and originally developed the idea brought with Real Networks, where only stayed for six weeks. Mr. Fadell approached Apple in 2001, and the iPod followed soon after. Fadell was promoted head of the iPod division in 2006 – a position that he held through to 2008.